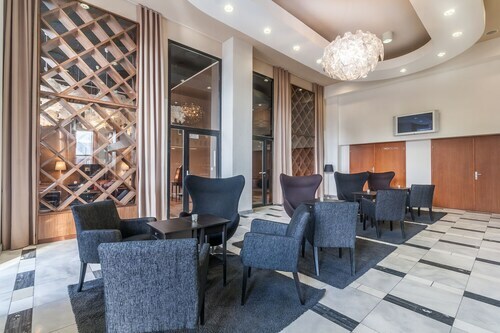 Located in Košice Old Town, this hotel is within a 5-minute walk of Hlavna Ulica and St. Elisabeth Cathedral. Cathedral of St. Elizabeth (Dom svatej Alzbety) and Miklus Prison Museum are also within 10 minutes. Kosice Station is 12 minutes by foot. 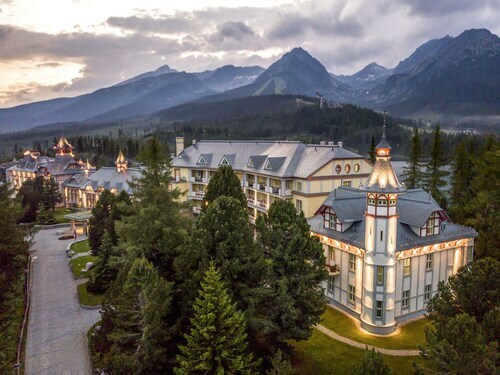 Located near the slopes, this Strbske Pleso hotel is within a 15-minute walk of Tatra National Park Slovakia and Strbske Pleso and close to winter sports such as skiing lessons. Gerlachovsky Stit and Tricklandia are also within 12 mi (20 km). Strbske Pleso Station is 10 minutes by foot. 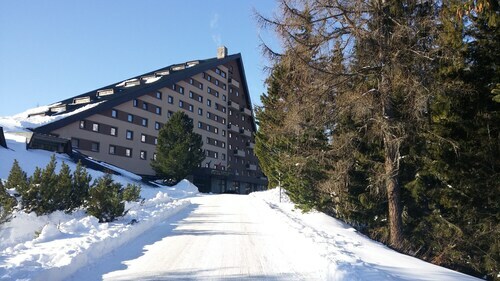 Located near the slopes, this Vysoke Tatry hotel is in the mountains, within a 15-minute walk of Tatrabob Rollercoaster and Ski Resort Tatranská Lomnica, and close to winter sports such as cross-country skiing and skiing lessons. TANAP Museum is 0.6 mi (0.9 km) away. Tatranska Lomnica Station is 11 minutes by foot. 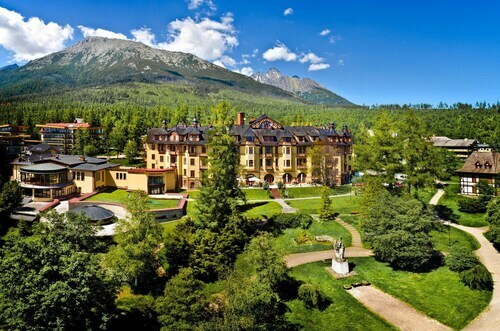 Located near the slopes, this Strbske Pleso hotel is in the mountains, within 1 mi (2 km) of Strbske Pleso and Tatra National Park Slovakia, and close to winter sports such as cross-country skiing. Gerlachovsky Stit and Tricklandia are also within 12 mi (20 km). Strbske Pleso Station is only a 5-minute walk. 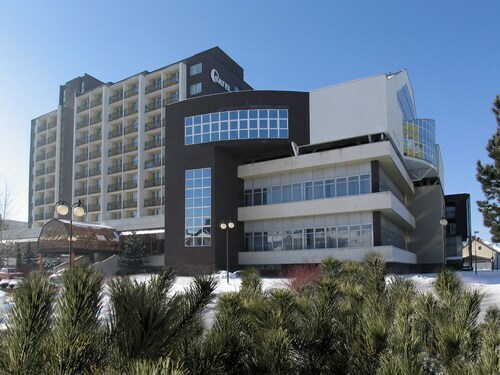 Situated in Poprad, this hotel is within 1 mi (2 km) of Tatra Gallery and AquaCity Poprad. 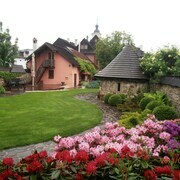 Podtatranske Museum is 0.2 mi (0.4 km) away. Poprad Tatry Station is 6 minutes by foot. 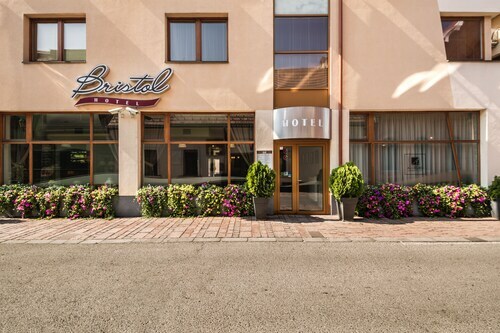 Located in Košice Old Town, this spa hotel is steps from Miklus Prison Museum, Hlavna Ulica, and St. Elisabeth Cathedral. Crafts Lane and Cathedral of St. Elizabeth (Dom svatej Alzbety) are also within 5 minutes. Kosice Station is 8 minutes by foot. Situated in the mountains, this luxury chalet is 1 mi (1.6 km) from Tricklandia and within 3 mi (5 km) of Ski Resort Tatranská Lomnica and Tatrabob Rollercoaster. Tatra National Park Slovakia and TANAP Museum are also within 6 mi (10 km). Located near the slopes, this Vysoke Tatry hotel is in the mountains, 0.2 mi (0.3 km) from Tricklandia and close to winter activities such as cross-country skiing and snow tubing. Tatra National Park Slovakia is 1.8 mi (2.9 km) away. Stary Smokovec Station is only a 3-minute walk. How Much is a Hotel Room in Eastern Slovakia? 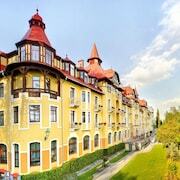 Hotels in Eastern Slovakia start at $49 per night. Prices and availability subject to change. Additional terms may apply. Pack your bags—it’s time to embark on a getaway. 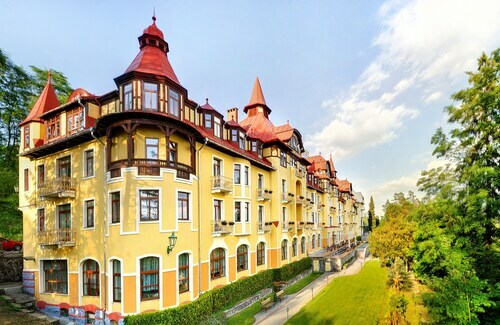 Whether you’re craving a solo retreat or promising your family a vacation to remember, book one of the best hotels in Eastern Slovakia. These hotels are located within easy access of the city’s hottest attractions and entertainment, so you won’t miss a beat while you’re in town. Spend the days exploring the local landmarks and the evenings getting to know the nightlife. After exploring the city from top to bottom, rest up at a hotel that speaks to you. Find the perfect place that matches your trip’s vibe, from a trendy boutique to family-friendly accommodations. Allow us here at Travelocity to pair you with up Eastern Slovakia hotels that suit your vacation preferences. Discover places with convenient on-site restaurants, around-the-clock service, and pools where your kids can make a splash. Some hotels may boast fitness rooms and spa services, while others feature game rooms and Wi-Fi access. To top it all off, you’ll score cheap hotels in Eastern Slovakia that let you spend more on your activities and less on your lodging. Book and bundle your flight and hotel deals together today and save up to $537. It’s time to explore a new city, and break out of your routine. Staff was friendly. The room was very comfortable and clean. It was small, but since I was traveling by myself, it just felt cozy. The sauna area was very nice and relaxing. The fitness center was never crowded and had sufficient equipment for whatever you're needing to work-out. I ate breakfast at the hotel every morning. It was a bit spendy but worth it with a large selection of really good food and beverage and a very nice dining area.